Need something to munch on while watching television or reading a book? Try a bowlful of juicy grapes. They are not only tasty, but also pack in a bunch of nutrients. Get the health benefits of grapes by eating these nutritious fruits regularly. Grapes are small round berries that originated from the European region, but are now grown all across the world. They grow in clusters and have a semi-translucent flesh surrounded by smooth and thin skin. The benefits of grapes and their delicious taste have made these fruits quite popular. Get the multiple benefits of grapes by eating these berries often. Here are five prime benefits of grapes that you can enjoy by adding these juicy berries to your diet. Grapes are rich in Resveratol, a phytophenolic phytochemical compound. This gives powerful protection from cancers of the prostate and the colon, degenerative nerve disease, Alzheimer’s disease, coronary heart disease (CHD), and viral/fungal infections. Grapes possess plenty of antioxidants, which counter the damage caused by the free radicals in the body and promote heart health. Also, the nitric acid present in grapes helps in reducing blood clots, platelet aggregation, and the oxidation of LDL. Have you ever wondered how the French have low heart disease rates despite regularly consuming foods that are rich in fat? Well, here’s their secret. 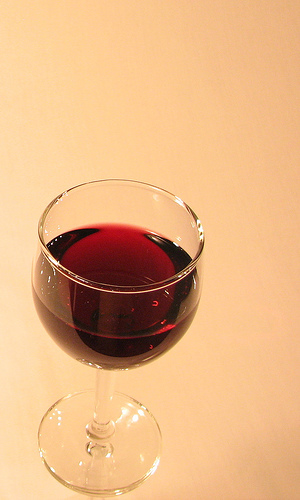 They drink high quantities of red wine, which has high levels of Resveratol. Now you can get the same benefit by eating grapes, as they are rich in the same compound i.e. Resveratol. The health benefits of grapes include a healthy heart, as they contain a compound called Resveratol, which is also found in red wine. Some of the anti-allergic, anti-inflammatory, and anti-microbial properties that grapes are believed to possess can be attributed to anthocyanins, a class of polyphenolic antioxidants that are present in large amounts in grapes. No wonder eating grapes can help you stay away allergies and inflammations. Several other protective properties found in grapes are due to the presence of catechin, a type of flavonoid belonging to the tannin group of anti-oxidants. This compound is present in larger quantities in the white/green varieties of grapes and promotes good health in a number of ways. Do you want good blood health, lowered risks of hypertension and depression, and improved immunity? Then you must definitely eat plenty of grapes and let their mineral constituents like manganese and potassium work their magic. 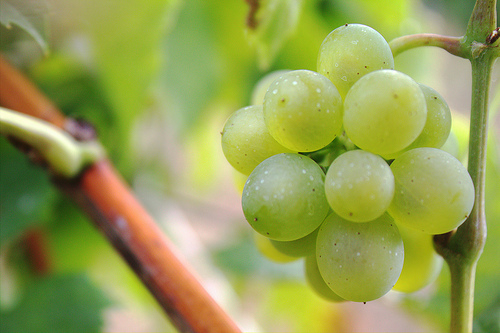 Other minerals found in grapes are calcium, phosphorus, copper, zinc, iron, and selenium. About 100 g of fresh grapes contain about 191 mg of the beneficial electrolyte, potassium. All grapes, including the red, purple, green, and black varieties, are abundant in vitamins such as Vitamin A, Vitamin C, Vitamin B6, Vitamin B, and Folate. Vitamins work to boost the body’s overall health and for this reason, they must be eaten regularly. A 4 oz serving of grapes can provide around 20-25% of your daily required serving of Vitamin C.
Now that you know about the nutritional benefits of grapes, you have plenty more reasons to eat them. In fact, their tastiness makes them an ideal snack option to replace oily and unhealthy potato chips. This entry was posted in Nutrition and tagged benefits of eating grapes, health benefits of grapes by Zipheal Editorial Staff. Bookmark the permalink.